With the support of the City of Greater Bendigo Council staff and Councillors, upgrade maintenance works continue to improve the older sections of the O’Keefe Rail Trail. Two aging timber trail bridges, between McIvor Hwy and Cashens Rd Junortoun, are currently having rotting and white ant affected deck timbers replaced. Trail users should take care, and avoid this area until works are completed. A bypass can be made via the McIvor Hwy or Trotting Tce. 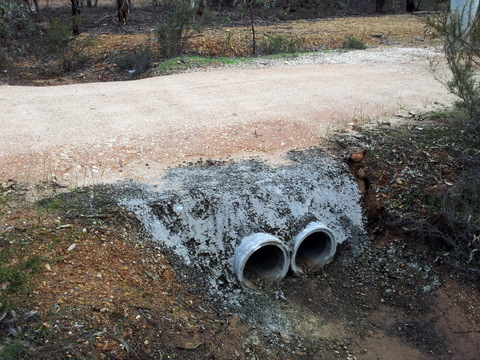 The section of the O’Keefe trail, between the Peppercorn Park and Sweenies Creek bridge Longlea, was in poor condition. The surface retained water after rains, creating difficulties negotiating mud areas, grew weeds, and had no gravel surface in place. This section of trail has now been fully reconstructed, including a small realignment to improve safety, with new drainage, improved ‘crown’ profile, and a important new gravel surface. The outcome is a great improvement for all trail users, especially during the winter months. The photo below capturing the visual mystery of a winter’s morning fog, taken from the Sweenies Creek bridge! 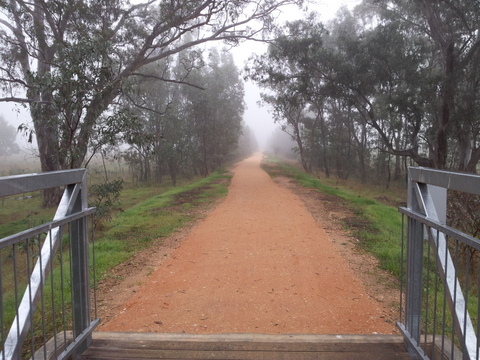 Completed upgrade of the O’Keefe Rail Trail at Longlea. Photo: Garry Long. The trail is currently being reconstructed, between Giris Road and Hickey Road, in the Axedale area. With 2 to 3% gradient, this section was notorious for its surface washaways, exposed rock reefs and the loss of any remaining gravel. It was a potential safety hazard for any trail users! Identified as a priority, full reconstruction works by council’s contractor are continuing, with a new gravel surface to be applied in the near future. While this Axedale section is now open, trail users must taken care, especially with the recent rainfall impacting upon the surface. Once the new trail base’s moisture content improves, these works are expected to be completed quickly. Recent repainting of all the O’Keefe Rail Trail signs, from the Bendigo Creek Trail to Axedale, has been completed by members of the Friends of the Bendigo-Kilmore Rail Trail. The result has added a fresh new look to those older sections of the trail! One of the original railway timber culverts was still being utilised by the rail trail near Hickey Rd Axedale, yet unfortunately this aging culvert had become a safety hazard to trail users. A responsive council works supervisor, Pat Connelly, dealt with the problem in a prompt manner and so delivering another improvement to the O’Keefe Rail Trail. Trail users are encouraged to report issues relating to the O’Keefe Rail Trail’s condition, or concerning activities by members of the public, to Customer Service at the City of Greater Bendigo (54346000 or requests@bendigo.vic.gov.au). Matters that are of a more urgent law enforcement or emergency nature, should be reported by phoning 000. 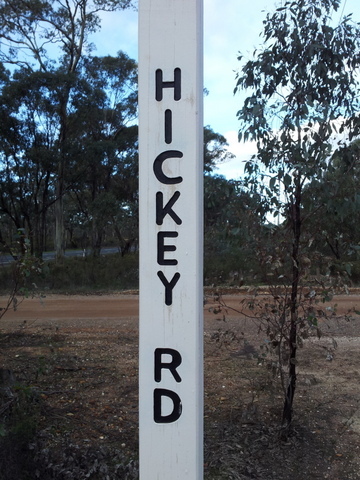 A Heathcote to Murchison Trail a reality?